If you're one of the undermentioned people or someone that wants good slip-resistant shoes, take a look at these Fila Memory Breach Steel Toe Men's 1SH40239 001 Slip-Resistant Black Low Shoes. They're built to be comfortable, long-lasting, slip-resistant, and featu ... (see full details) (see specifications) #1SH40239-001. If you're one of the undermentioned people or someone that wants good slip-resistant shoes, take a look at these Fila Memory Breach Steel Toe Men's 1SH40239 001 Slip-Resistant Black Low Shoes. They're built to be comfortable, long-lasting, slip-resistant, and feature steel safety toe protection. We can think of a plethora of areas of employment that require slip-resistant sneakers. It's quite possible that you're in the service industry and slip-resistant shoes are a must. Maybe you're in the custodial field, and you'd be lost without slip-resistant footwear. Perhaps you're a laborer or you work in an industrial setting where slip resistance is a necessity. Or maybe you're just a clumsy individual who desires to be more cautious because you’ve taken a fall or two and don’t want to risk it anymore. Reach for these Fila men's steel toe shoes for superior job site safety. The most important aspect of these Fila Memory Breach shoes is their ability to help you avoid accidental tumbles from hazardous wetness on the ground, whether it's in your place of work or elsewhere. To do so, these slip-resistant black shoes have a rubber outsole. It provides excellent traction, thus allowing you to safely make it through the majority of puddles and pools. In fact, the outsole is so slip-resistant that it was tested against the requirements for the safety standard ASTM F2913-11 and passed. However, these work shoes are not slip-proof. You may be mostly protected from falls while wearing them, but don't just throw caution to the wind the moment you see a spill. In terms of durability, these Fila Memory Breach shoes are excellent. For starters, the upper is crafted from black-colored synthetic leather. Synthetic leather not only gives this men's footwear a sleek look, but it provides you with a material that will not easily wear or show signs of use. Because the outsole is made from thick rubber, it's incredibly resilient. 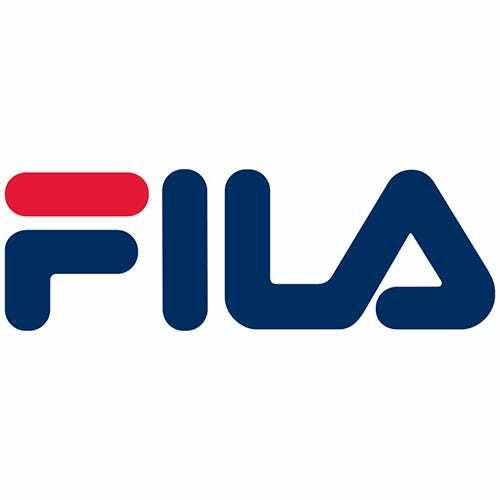 The rubber outsole and synthetic leather upper make the perfect combination for long-lasting Fila footwear. These can protect your toes from harm because they come with a built-in steel toe cap. The steel safety toe cap can protect your toe from incidents like accidental dropping of heavy items and unexpected pressure placed upon your toes. Finally, we can't forget about comfort. For starters, this pair features an EVA midsole. It provides excellent support and softness as a cushion for your feet. The tongue and collar on these low work shoes are padded, which provides a snuggly, hug-like feel without being constricting. For your convenience, this design is low, meaning your ankle and foot will have ease of movement compared to if you were to wear a high-top shoe or men's boots with a tall shaft. A memory foam footbed provides superior cushioning beneath your steps, so you have high quality support when you're wearing this slip-resistant footwear. To protect yourself from slipping in slick spills, you need these Fila Memory Breach Steel Toe Men's 1SH40239 001 Black Low Shoes from Working Person's Store. The fact that they’re comfortable, durable, and protective is just a bonus, but it’s a bonus you’ll certainly appreciate. We know you’ll love them, so get them ordered today and discover what it’s like to not fall victim to an unpleasant and unexpected puddle. WOW!!! That is fast work - thank you! Fila Shoes: Steel Toe Men's 1SH40239 001 Slip-Resistant Black Low Memory Breach Shoes is being added to your cart.